The cultural forum Aykya of Jain College, JC Road organized Achiever’s meet on 28 July 2018. It is the day where the II PUC State toppers, distinction holders, I PU rank holders and students who acquired centum are felicitated. All the four campuses of Jain College came together and celebrated the victory of the meritorious students. 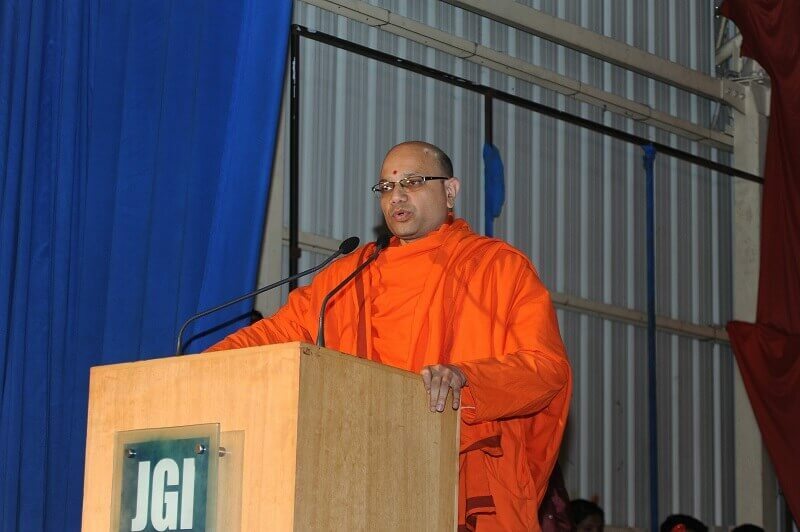 The chief guest for the day was Swami Mangalanathanandji Maharaj from Ramakrishna Math, Bangalore. The program reached the threshold when the chief guest captivated the crowd by his divine knowledge. He brought forth the need for enhancing one’s character and necessity to become better human beings and serve mankind. The II PU state toppers of all the four campuses were honored by our chief guest and our esteemed director, Dr. B.T Venkatesh. The procession was taken forward by felicitating the I PU rank holders of various campuses. The distinction and centum holders of the II PU board examination were also felicitated.